Artemis wins two bids to Nationals! Artemis varsity celebrating two wins at Regionals! 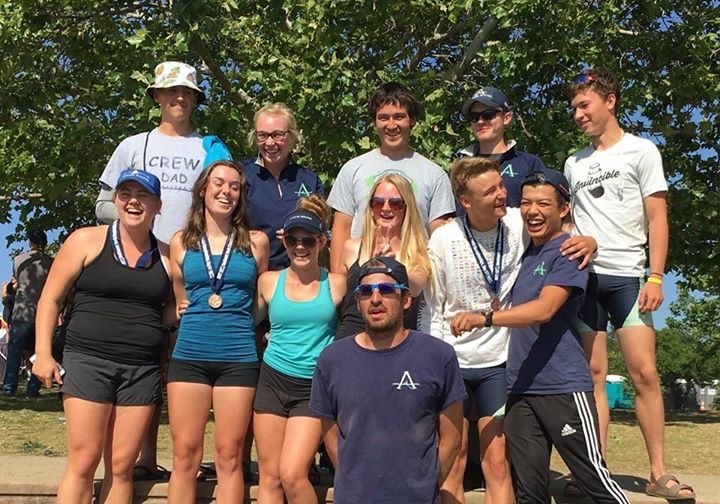 Artemis Rowing brought home two bronze medals from the USRowing Southwest Regionals Championship Regatta at Lake Natoma on May 6th and 7th qualifying both boats for USRowing Nationals in Florida June 9th through 11th! Senior Rudi Skowronski rowed strong in the men’s 1x while Junior Emma Bernou and Freshman Laurel Bishop were in perfect unison in the women’s 2-. ​Please join us in congratulating Rudi, Emma and Laurel! 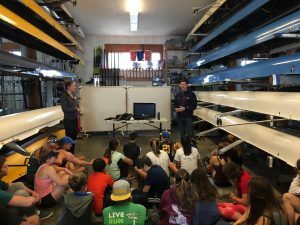 USRowing’s National Learn to Row Day had something for everyone! 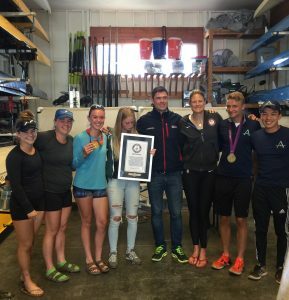 Susan Francia, 2-time Olympic Gold Medal rower, and Matthew Brown, Latitude 35 World record holder for the race across the Atlantic, inspired new Learn to Row guests and Artemis rowers alike! Artemis had hosted Learn to Row Day in conjunction with USRowing on June 3rd to kick off the summer rowing program. Susan and Matthew sharing their awards and medals — and inspiring Artemis rowers! 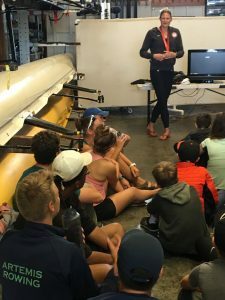 ​​​​​​Artemis partners with USRowing for National Learn to Row Day on Saturday, June 2nd! 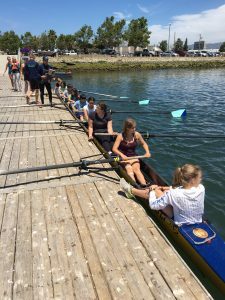 Artemis Rowing will open its boathouse to the public for this event on Saturday June 2 at Jack London Square Aquatic Center located on the Oakland Estuary. We will be joined by Nate Goodman, Yale rower 2013-2017, and current member of the US National Team training here in Oakland in preparation for the Tokyo Summer Olympics in 2020. Learn to Row Day is free and will run from 10 a.m. until 1 p.m All ages are welcome, and participants can learn basic rowing technique on ergs (rowing machines), then have the opportunity to try out rowing on the water with the help of experienced Artemis rowers. If you’ve ever wondered if rowing could be your sport, this is your opportunity to find out!